Aluminum, despite being the most abundant metal in the earth’s crust, was once more valuable than gold, but now, it is inexpensive and, accordingly, abundant in the industrialized world. The availability and extrudability of this material has made it legion; you can find aluminum in factories, automobiles, buildings, and even by just looking around the home. According to the Aluminum Association, the aluminum industry’s leading voice in Washington, DC and an ANSI-accredited standards developing organization, primary aluminum production in the United States was over 800,000 metric tons throughout 2016. While this amount is substantial, it is hardly comparable to the U.S. aluminum production in the early 1980s, when it equaled approximately one-third of the total global primary aluminum production. However, in September 1981, only 1,232,000 metric tons of aluminum reportedly were produced, while, in September 2017, the world saw 4,927,000 metric tons of aluminum created through primary production. 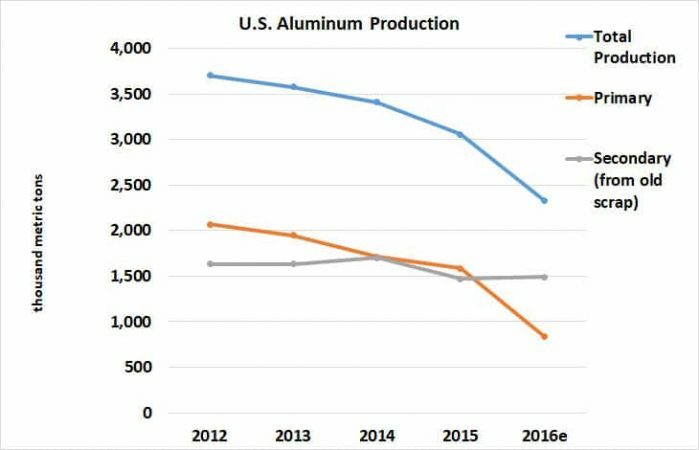 The reasoning for this difference is the emergence of aluminum primary production in regions that had no or little influence on the market. Even in North America, Canada reigns as the largest producer of aluminum, accounting for 263,602 metric tons in September 2017, over 4 times as much produced in the United States during that same time. The key factor in the industry’s growth is China, which produced a whopping 2,606,000 metric tons of aluminum of September 2017, accounting for over half the total during that time, with even further production having gone unreported. Almost all primary aluminum production is dependent on the Hall-Héroult and Bayer processes. In fact, these methodologies are responsible for reducing the cost of aluminum in the late 1800s. Since aluminum does not occur in natural form, alumina—an aluminum oxide compound—must be refined from mined bauxite. Bauxite is found in the topsoil of various tropical and subtropical regions, and through the Bayer Process, the bauxite ore is chemically extracted into alumina. 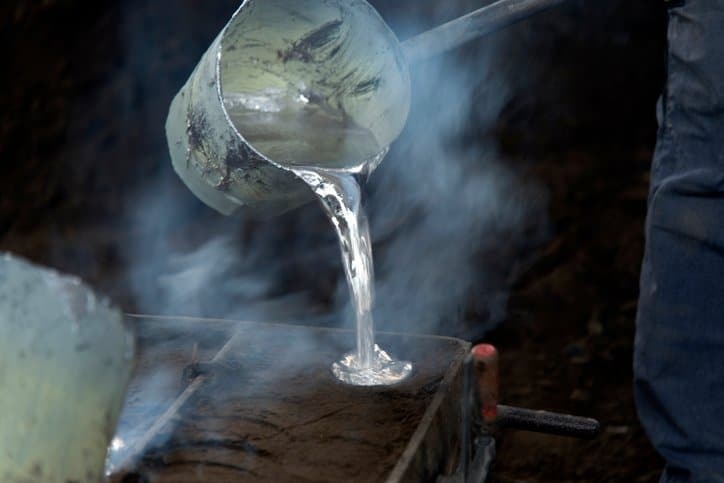 The next step of primary aluminum production incorporates the Hall-Héroult process, in which the alumina is dissolved in a molten cyrolite bath within a carbon-lined steel pot, with carbon anodes inserted in the top of the bath and an electric current passing through the anodes and the bath. Oxygen atoms separate from the alumina to combine with the carbon anode, leaving behind molten aluminum at the bottom of the pot. While the discovery of these two processes made aluminum production more of a possibility, it was not until large-scale electricity was produced that aluminum became economically viable. Even today, over one century later, electric power represents 20 to 40 percent of the cost of producing aluminum. In fact, by national average, aluminum production consumes around 5 percent of the total electricity generated in the United States. This exalts advancing energy efficiency as an actively pursued goal for the future of aluminum production. However, minimizing energy use, as well as waste and overall footprint, generally results from the main alternative to primary aluminum production. Secondary production, which derives from aluminum’s characteristic recyclability and longevity, involves recycling aluminum scrap into aluminum for reuse. It is 92 percent more energy efficient than primary production. Nearly 40 percent of the North American aluminum supply is now created through secondary production. Interestingly, due to this trend, anytime you toss away an aluminum can instead of recycling it, you are wasting as much energy as pouring out half that can’s volume in gasoline. Thanks to secondary aluminum production and the prolonged lifespan of the element, around 75 percent of all aluminum produced is still in use today. China, while being the number 1 producer of aluminum, is at somewhat of a disadvantage, due to industrial, national, and international emission goals. In response to the heavy smog that envelops many cities in the industrial regions of the populous Asian nation, certain regions are being forced to reduce output in early 2018. As a result, it is possible that aluminum production will be cut by 30 percent. 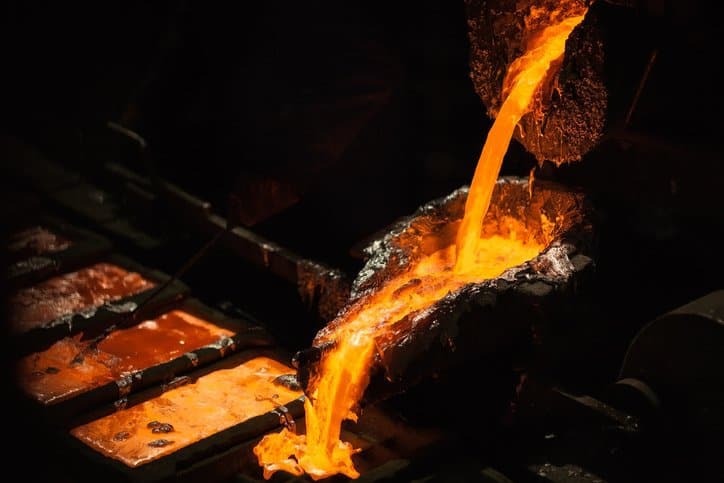 Alternatively, when it comes to emissions, primary aluminum production in North America is at an advantage, as, due to the geographical locations of most smelting facilities in the continent, about 70 percent of electricity consumed in smelting facilities comes from hydroelectric sources. Learn more about the aluminum industry on the Aluminum Association’s website.